Here you are going to learn how to remotely install Android apps on smartphones from PC Windows. There is no to need to manually transfer apk files of apps not available on Google Play Store via file manager app because now you can install apps on phone remotely from Windows 10 PC. 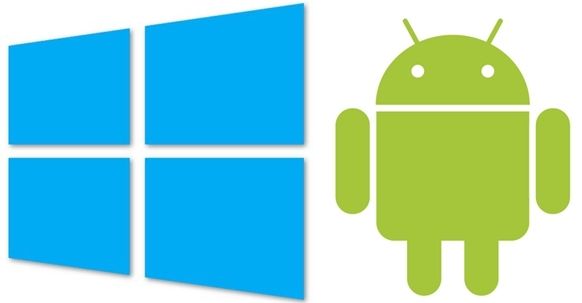 Users of Windows 10 (32bit/64bit), Windows 7, Windows 8/8.1 can also follow the method explained below to install Android apps on mobile from PC. In order to remotely install apps on PC you would need to have ADB and Fastboot tool install on Windows PC. We are going to show you how to use ADB and Fastboot tool to remotely install apps on phone from PC. If you are familiar with custom ROM and have a rooted device then you must be familiar with ADB and Fastboot tool. Without ADB and Fastboot it is not possible to connect mobile device with Windows computer to control the mobile device from PC for modifying and debugging the device. ADB and Fastboot also enables you to transfer files from PC to mobile device. Apart from Custom Recovery ROMs, Kernel and flashing images you can also use ADB and Fastboot on Windows to push Android .apk files from PC to mobile. You can download any number of Android apps from Google Play Store on your mobile device, all you have to do is to go to the Play Store app, browse the app and install it in seconds. But there are some apps that are not available on Google Play Store or have been taken down from the Play Store from Google for some reason. You can download such apps on Android device via external links from other places. Most apps from outside links are in .apk format and can be installed on Android mobile via File Manager app on phone but if you want to skip this manually installation process then keep reading to know how to directly install apps on Android device from Windows PC. Here is what you need to do in order to successfully install apps remotely from Windows desktop/laptop via ADB tool. Make sure you have .apk format of the app, which you want to install on mobile device, saved on computer. Note: Please verify the authenticity of the .apk apps before installing them because sometimes downloading apk apps from unknown external sources can be harmful due to malicious content. 1 – Connect your Android device with Windows PC via USB cable. 2 – Launch ADB and Fastboot tool on computer. 3 – Enter ‘adb devices’ (without quotes) to get things started. 4 – In the Command Prompt window enter the following command to replace file location and app name according to your device settings. Apk file name will be the name of the app you are installing. 5 – Wait for the app to install and once it’s done, you will see success message on the screen. All done. You have directly installed the app on Android device without going through the normal app installation method. Though? Lets us known if you have any queries in the comments sections below. How to Download Any Android App For PC running Windows 10, 8.1, 8, 7 or XP.